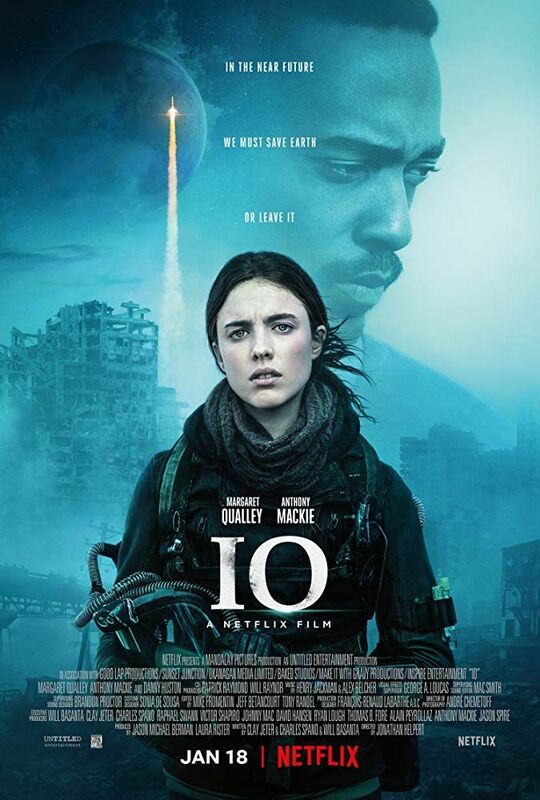 IO's a quiet gem of a movie - on Netflix - which reverses the usual pattern of humans embarking out into space, to the edges of our solar system and to neighboring star systems such as Alpha Centauri, so humanity can survive a dying Earth. I'm vividly in favor of humans going out into space - see Touching the Face of the Cosmos - but not at the expense of our planet. I want to see humanity thrive both on our planet and off it in the universe beyond. And IO explores and makes this point beautifully. Earth is apparently dying. Sam (well played by Margaret Qualley) believes in her father's view that the Earth is not irrevocably dying but slowly coming back to life, regenerating itself via bacteria and bees that can live in the toxic air and even make it breathable again. But time's running out. Micah (well played by Anthony Mackie, to appear in season 2 of Altered Carbon), who believed in her father's vision, comes to kill him, because he saw lots of people including his wife die, as they waited for our planet to revive. But it turns out that Sam's father is already dead, and Micah changes his quest to saving Sam by getting her to leave this planet via one of the last space vehicles. I won't tell you how this ends, but the answer is wrapped in poetry and art and queen bees and human reproduction, too. And amidst all the ruin abounding in the movie, and the temptation of all humanity decamping Earth for the moon around Jupiter and the Earth-like planet around Proxima Centauri, it's good to see a vote of confidence in this planet. See IO, stay with it until the end, see how escaping versus staying and rejuvenating plays out.